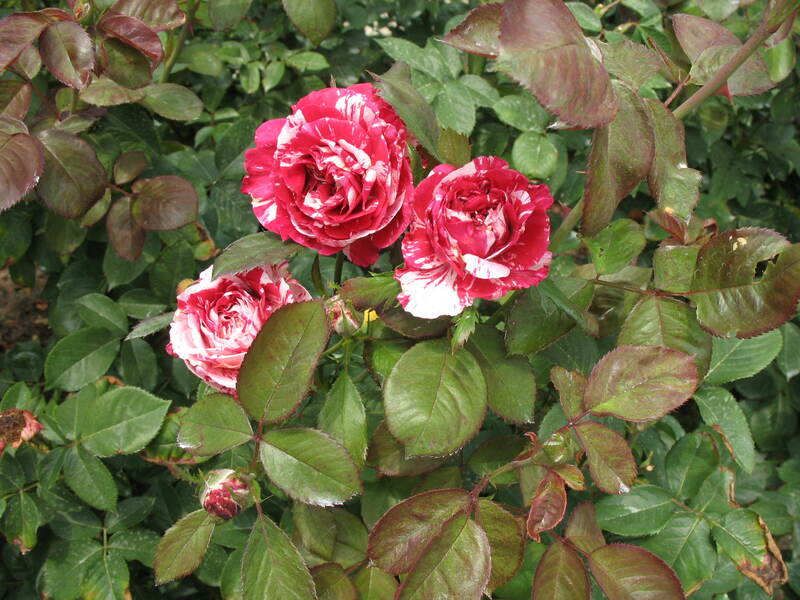 Comments: This bi-colored rose produces red petals with blotches of white. Each petal has very different markings. Flowers are highly fragrant. It produces rich green foliage.